Here we list the 20 wonderful wedding venues Geelong has to offer.A region of historic homesteads, boutique wineries, stunning bay views and a super-relaxed atmosphere and just a hop, skip and jump from Melbourne city, Geelong is the perfect location for your wedding. Just a hop, skip and jump from Melbourne city, you will find the gorgeous coastal area of Geelong and the Bellarine Peninsula. A region of historic homesteads, boutique wineries, stunning bay views and a super-relaxed atmosphere – this is a great place to have your wedding. An area known for its gourmet food as well, the Geelong region has a number of award-winning restaurants and wedding venues, as well as some very luxurious accommodation options. Perfect for a weekend break for your guests travelling from the city. Don’t let the friendly people and chilled-out country ambience fool you – these venues on the ball when it comes to cutting-edge technology, creature comforts and attention to the tiny details. If you are looking for a wedding venue of excellence and quality in the Geelong region, we have the list for you. The spectacular and iconic waterfront venue is in the heart of Geelong’s vibrant and modern entertainment precinct. With elegant rooms, fine dining, and floor to ceiling windows over the crystalline bay, you will be sure of an event to remember at The Pier. No matter what size reception you are having you can be assured of attentive services and a successful and stress-free event. Choose from a range of impressive contemporary function rooms. The events management team delight in crafting fantasy wedding days, and love to share in the excitement, anticipation and joy of one of the most memorable life events you will experience. These stunningly refurbished wool exchange buildings on the waterfront in Geelong offer a timeless blend of contemporary and historic splendour. A truly unique and eclectic space, you can choose from a variety of function rooms to suit the size and style of your wedding. Here they can cater to small intimate affairs or large soirees of up to 300 guests. The catering showcases fresh local and seasonal produce and comes in a range of packages to fit any budget. Talk to the experienced event team today for more information about tailoring the wedding of your dreams. Blue Wren Park is a wonderful space for garden weddings, fun and fancy receptions and unforgettable events. For the couple who wants their guests to remember their big day for months afterwards, this is the venue you should choose. Your reception will be hosted in the premium marquee, with food and wine from vendors of your choice across the region. The reason why people choose this venue is the exquisite setting – you cannot beat this garden! Jack Rabbit Vineyard makes impeccably tasty wine, but fortunately, they are known for so much more. The grounds and views are breathtaking, and the venue offers a number of spaces and function areas for the different parts of your perfect day. This is a local secret that is adored by gourmet foodies and people in the know. Everyone looks forward to a day at this welcoming place. Whatever theme and feel you desire for your day, it can be brought to life here. A comprehensive complex, you and your guests will have everything you need right here. For exceptional events and creative catering, Truffleduck is your dream wedding team. Renowned for their food, you can select from a wide range of menus including canapes, grazing tables, formal dining and so much more. You can also have a dessert buffet for a decadent finale. Truffleduck can cater your wedding at any location, including some of the other venues on this list, but they also have their own spaces including Balmoral on the Moorabool River, their cosmopolitan waterfront kitchen or rustic Barn. With intoxicating views across the bay, Rusty Gate is the ideal reception venue for your country, vintage or boho wedding. 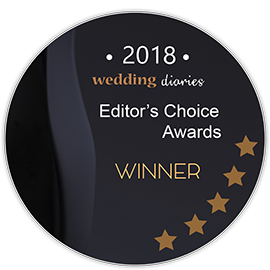 Set amongst the award-winning olive grove, the grand and picturesque grounds are perfect for garden ceremonies, drinks before dinner and wedding album backdrops. Host your reception in the dedicated premium marquee with full-flooring and all the comforts you could need. The Empire Grill restaurant in the heart of Geelong is a famed establishment for fine dining and big bold flavours. With over 30 years’ experience in catering and hosting events, your guests will want for nothing if you hold your reception here. Critically acclaimed food and only the freshest local meat, seafood and produce. Lovely in all seasons, you can relax by the open fire in winter, or toast with a sparkling cocktail in summer. This venue offers complimentary theming, styling and flowers with your wedding package, all planned to perfection by their events team. Incredible wine, food, and friends – what more could you want for your special day? This boutique vineyard and award-winning restaurant boast silver service and wonderful hospitality. Perched on extensive grounds and gardens including eclectic art works, rustic cellar door and hectares of coastal farmland. With numerous function spaces to accommodate parties up to 100 people, and luxurious overnight accommodation for up to six people. A simply stunning heritage listed estate, the romance and magic of the Heights are perfect for your wedding day. Erected in 1854, it is the largest dwelling of its kind in Victoria. Most of the buildings and grounds are restored to their original beauty, and you will delight in the variety of backdrops for ceremony, reception and those all-important photos. A unique property and a superb setting for the biggest day of your life. The unrivalled views from the upstairs space at 360q will make you feel like you are sitting on top of the world. With catering provided by head chef Barry Iddles, well known as the owner of Sorrento Catering and over 40 years’ experience in fine food and events. The floor to ceiling windows show views across Queenscliff Harbour and Port Phillip Bay, and you can also arrange for photos of the wedding couple at the top of the adjoining observation tower. Offering a range of premium food and beverage packages, including formal dining or cocktails and canapes. Located in the Otway ranges of Pennyroyal, Victoria, this venue offers five cottages for you and your bridal party and a campground for your guests, as well as a lodge and hall for your celebrations. There are also a variety of family-friendly entertainment, including air hockey, mini-golf, beaches, farm animals, and hiking trails in Otway National Park. The venue is available for groups of up to 80 people for a minimum of two nights. The accommodations are quaint, but modern, and the rolling hills make for such amazing backgrounds in your wedding photos. If you are looking around the Torquay area (20 minutes drive from Geelong) for a great beach wedding venue, Growler’s is a must-see. The beer garden is great for adults to enjoy and relax in while the family kids play in their own designated area, complete with a chalkboard. Plus, your guests can enjoy the live music at the bar! The restaurant itself can seat up to 60 guests, the balcony an additional 40, and the beer garden an additional 50 (150 total with all three areas). If you and your partner are keen surfers or love the beach and surf-shack vibe, then this is the perfect wedding venue option for you. This beautiful winery in Bellarine, Victoria opens its grounds, restaurant, and wine cellar to weddings and other events. The restaurant is full of natural lighting, with a gorgeous view of the vineyard and surrounding nature. The patio is full of greenery and fantastic for cocktail hour or for guests to mingle. Admire the hills and Corio Bay as you sip on some Chardonnay, Shiraz, or other wines (with vintages available from 1999). Make sure to try their “fresh take on French provincial cuisine” and check out their Facebook for real wedding photos and more information on venue booking dates. This is the venue your wedding guests will love! If you’re looking for amazing landscapes and proximity to the beach as well as an elegant, modern room for your reception, consider 13th Beach Golf. You have the option of holding your ceremony indoors or outdoors, for up to 140 guests (sit-down dinner) or 250 (cocktail). 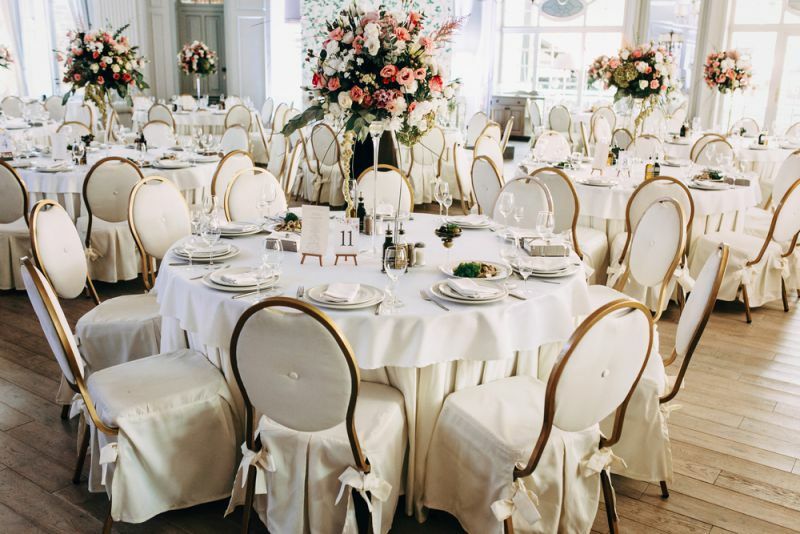 The club will also introduce you to preferred wedding vendors and suppliers who are trusted by the club and provide you with a coordinator who will help you plan your day down to every detail. The groomsmen can play a round while the ladies get ready, and the ground are just spectacular for your wedding party photos. The most adorable chapel in Geelong, Victoria is perfect for small/intimate and casual-style weddings. For those who love the rustic touch and picture ivy everywhere, this old church that was transformed into a café and wedding event space is just perfect. It can also be turned into a formal sit-down dinner space for those who want just a touch of class on their wedding day. Check out their Facebook for photos of real weddings and their food. For those couples who are looking for something a little more upscale and love modern Spanish cuisine and tapas, the Lorne Hotel (and catering options from MoVida (their restaurant) in Melbourne, Victoria), is a fantastic wedding venue option. The dining room features floor-to-ceiling windows that show a breath-taking view of the beach and ocean and can be transformed by their events team to reflect your greatest wedding dreams. There is also a rooftop beer garden for those who wish to see more of the amazing view. Check out their Facebook for more photos, information, upcoming events, and client reviews. In Inverleigh, Victoria, along the picturesque Warrambine creek lies the beautiful mansion of Barunah Plains. Here you can host large parties (85+) in the 135 square metre space, as well as their sprawling, lavish gardens and grounds. Groups and families can enjoy the pool, croquet lawns, and tennis courts, and couples can take romantic strolls beside the creek. Treat your guests to a stay in Barunah and they will be talking about your wedding for ages. Check out their Facebook for more pictures of their grounds and the interior. This historic hotel is over a century old but has been recently restored, so you can soak in the gorgeous architecture while enjoying the comfort of modern amenities. Find it on the coast at Lorne, Victoria, and for your wedding guests who would like to stay at the hotel, offer them the most amazing ocean views from their suites and balconies. Their ballroom can seat up to 200 people and the restaurant features floor-to-ceiling windows with gorgeous views. Visit their Facebook to see photos of the real weddings, local wildlife and attractions! If you love modern aesthetics and the beach, Mantra Lorne in Lorne, Victoria offers hotels rooms and apartments for you and your guests, as well 12 acres of gardens and beach for your ceremony and reception. You can also choose to host your event indoors in their function rooms that can accommodate up to 300 people. Check out their Facebook page for more photos of the rooms and suites, and ask about their different wedding packages that offer options for couples with varying budgets. Head down to Bellbrae, Victoria for a boutique property that is just perfect for your wedding celebrations. This is a great wedding venue option for couples who aren’t too keen on the big hotel or golf course style of events and prefer to have an intimate wedding with their close family and friends. For wedding guests who prefer staying the night (rather than driving home same day), they can enjoy the lakes, wildlife, and serenity of the grounds as they relax in their apartments. You can find pictures of all of these on their Facebook. The Geelong region features a lot of historical streets and architecture as well as beautiful seascapes and rolling hills that offer perfect backdrops for your wedding photos. Additionally, the Geelong region boasts a plethora of craft breweries and local wines to visit in before and after the celebrations, as well as long stretches of pristine beaches to relax on. Geelong isn’t Victoria’s most well-known city, but it’s a bit of a hidden gem, and we are about to tell you why. Just an easy hour’s drive from Melbourne, on a gorgeous bay, Geelong is actually an exceptional place to get married. If you are planning a Geelong wedding, or you are getting married and looking for somewhere different from the usual Melbourne venues, we have everything you need to know. Geelong is a thriving city of contrasts, so the couple looking to get married here should find any type of venue to suit them. Stunning historic spaces include converted paper mills or wool stores, or refurbished rural mansions while if you would prefer something more modern you are covered here too. From chic city cosmopolitan spots to boutique industrial blank slates, there is so much variety and personality here. Surrounded by tiny country towns and fast becoming a famed gourmet foodie hideaway, it is the entrance to the Great Ocean Road, and could also provide a wonderful destination weekend for your city guests. Perched on the waterfront, there are several venues overlooking the bay and even out on the pier, or you could venture further around the Bellarine Peninsula and choose one of a number of relaxed winery venues or country hotels. The prices for a wedding reception venue in Geelong are on average lower than Melbourne, but you should find something for every budget. On average reception venues charge anywhere between $4000 and $25000 for a full wedding reception, with the average around $11,000. Driving to Geelong is super easy, just jump on the freeway and head down. Trains also go constantly from Southern Cross and only take an hour, so public transport is a great option as well. Avalon airport is located on the outskirts of Geelong if you have interstate guests. There is a wide range of accommodation options from five-star city hotels to uber-cute country houses or historic B and B’s, and some chilled out beachfront resorts in the area. There are plenty of options within the Geelong city itself including budget ones, and there are some camping grounds not far from the city as well, including some lovely riverfront spots. Geelong in winter can get pretty cool, and a bit wet and windy as well. The best months to get married in Geelong would be between March and May, or September to December. Whenever you choose to get married, be prepared for anything to happen weather-wise. Look for venues that have a Plan B if you were hoping for an outdoor ceremony. Equally look for spaces that can accommodate a lovely warm day as well, such as decks and balconies for cocktails, or walls that open up to take advantage of nicer days. There is an Avalon Airshow in early March every year, so watch out for this date, it might make the freeway and nearby accommodations a bit busy. Boxing Day is also the start of summer holidays and many holidaymakers will trek to the Great Ocean Road, so consider this day when you are booking a date as well.